Our goal is to connect people with the best local experts. We scored tree service professionals on more than 25 variables across five categories, and analysed the results to give you a hand-picked list of the best tree service professionals in Scottsdale, AZ. All American Arborist has been providing the highest quality of tree service available in the Scottsdale area for nearly ten years. The locally owned and operated business offers residential and commercial customers with a range of tree care services including planting, removal, trimming, pruning, bracing, fertilization, and more. All American Arborist is fully insured and features certified arborists with the expertise to diagnose, treat, and provide preventative care. All Terrain Landscaping has been providing Scottsdale-area customers with professional landscape design, installation, and tree service for over a decade. The tree trimming and removal service specializes in providing high quality, personalized service that ensures the health and beauty of client trees. All Terrain Landscaping offers a range of services including pruning and trimming to protect trees against disease and minimize property damage caused by fallen limbs. AZ Tree Trimmer has the experience and expertise to handle jobs of all sizes. The Scottsdale-area tree trimming and removal experts deliver a range of services to help ensure the health of trees including stump grinding, trimming, and removal of palms, cactus, and trees. AZ Tree Trimmer maintains the necessary insurance and employs experienced trimmers to ensure that no damage occurs on client properties. Bob Lee & Sons Tree Service specializes in providing expert aerial tree pruning, thinning, and removal services for customers in the Scottsdale area. The family-owned business brings the necessary licensure, insurance, and over 30 years of experience to each project no matter the size. Clients can rely on the staff of trained tree professionals to use the most efficient practices and equipment to get the job done right. Clean Cut Landscape Management has been providing customers in the Scottsdale area with exceptional landscaping and tree services for over 20 years. The locally owned and operated company specializes in handling all facets of tree care including pruning, removal, stump grinding, cabling, and fertilizing. Clients can rely on the experts at Clean Cut Landscape Management to maintain the necessary licensure, bonding, and insurance to ensure the health and beauty of trees in a safe manner. Danger Tree Removal commits to providing the highest quality of service by employing the latest equipment, tools, and know-how to get the job done right. The fully-insured business has been serving the needs of Scottsdale-area residential and commercial customers with over a decade of experience. Danger Tree Removal provides 24-hour emergency responsiveness to ensure customer satisfaction. Clients can rely on the tree specialists to provide a range of services including removal, trimming, pruning, shaping, stump removal, and grinding. Liberty Tree Experts focus on taking a broad and holistic approach to tree care. The Scottsdale-area business employs tree experts with nearly 30 years of combined experience. Liberty Tree Experts provide a range of services that help customers to maintain and enhance the health of trees including assessments, trimming, pruning, removal, stump grinding, and storm damage clean-up. Customers can rely on the experts to confidently suggest and provide whatever trees may need for maintaining optimal health. Living Tree Service has provided Scottsdale-area customers with outstanding tree care for over a decade. The locally owned and operated business features certified arborists with a commitment to proper tree care and superb customer service. Residential and commercial customers can rely on Living Tree Service to ensure a safe job site and employ nationally recognized standards. The business offers a range of services to help customers maintain the health and beauty of trees including problem diagnosis, removal, stump grinding, and 24-hour emergency service responsiveness. New Heights Tree Service commits to providing residential and commercial customers in the Scottsdale area with the highest quality of service available. The family owned and operated business has been dedicated to safety and efficiency while delivering expert pruning, thinning, elevating, shaping, stump, and debris removal. Clients can depend on the fully-insured tree experts to deliver hazardous tree assessment and removal, structural trimming, fertilization, cabling, and bracing services that surpass expectations. Oasis Tree Service maintains the experience, staff, equipment, and expertise to handle all tree service needs at a fair price. The Scottsdale-area business provides reliable and professional tree removal, trimming, shrub pruning, stump removal, fertilizing, and other services that maintain the health and beauty of trees. Residential and commercial clients can rely on the highly qualified staff to execute all tree care services in a safe and efficient manner. Phoenix Trim-A-Tree specializes in providing a range of tree care needs for residential and commercial customers in the Scottsdale area. The business makes safety a top priority by employing highly trained crews with experience in proper trimming and pruning techniques. Clients can rely on the fully insured business to handle virtually every aspect of tree care and diagnostics including trimming, pruning, and removal, stump removal, wood grinding, tree fertilization, and more. PV Trimmers specializes in providing customers with expert tree trimming and removal services at an affordable price. The Scottsdale-area business features certified arborists and tree care specialists with over 20 years of experience helping maintain the health and beauty of all kinds of trees. PV Trimmers offers services that help trees in a variety of ways like increasing structural stability, reducing disease, controlling growth, and providing a better view. Tidy Tree Trimming specializes in helping customers to remove unwanted and dangerous trees in a quick, safe, and affordable manner. The Scottsdale-area professional tree removal service has the experience and equipment to handle all varieties of trees including palms, pines, eucalyptus, ash, citrus, and many others. Clients can rely on the experts at Tidy Tree Trimming to maintain the necessary licensure, bonding, and insurance that ensures safe and best practices on each job site. Tree Logic provides residential and commercial customers in the Scottsdale area with a one-stop-shop for all tree care needs. The Angie’s List Super Service Award recipient maintains certified arborists and tree care workers on every job site to ensure the safety of workers and property owners. The family owned and operated business brings many years of experience to projects of all sizes. Clients can rely on Tree Logic to handle every facet of arbor service including tree and palm pruning, removal, stump grinding, professional clean-ups, and tree diagnosis. Tree Trimming Phoenix commits to maintaining the health of trees for homeowners and businesses in the Scottsdale area. The tree experts have many years of experience and expertise providing professional trimming, removal, stump grinding, and fertilization services in a timely and safety-conscious manner. Tree Trimming Phoenix specializes in removing damaged or fallen trees as well as dead tree and stump removal. Trees for Needs specializes in providing high-quality service to residential and commercial customers in the Scottsdale area. The dedicated tree care professionals deliver a range of services to maintain the health and beauty of trees including trimming, removal, stump grinding, and fertilization. 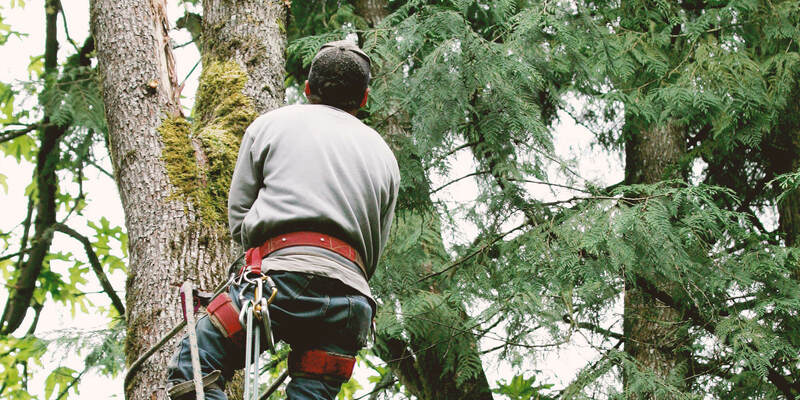 Clients can rely on the certified arborist at Trees for Needs to provide the highest level of service needed to care for trees of all kinds properly. Treetime Design commits to providing the highest level of care and service to residential and commercial customers. The Scottsdale-area professional tree care business delivers friendly, prompt service by an experienced, safety-conscious crew. Customers can rely on Treetime Design to handle all aspects of tree service including pruning, trimming, stump grinding, removal, and thorough clean-up. Treetime Design maintains the proper equipment and goes the extra mile to ensure the job is done right at a competitive price. Valley Tree Masters specialize in providing top-notch service that exceeds customers’ expectations. The Scottsdale-area tree experts focus on delivering professional tree trimming and stump removal services for any size project and level of complexity. Clients can rely on Valley Tree Masters to employ certified arborists and maintain the proper insurance to safely service and remove trees of all kinds.